The 2017 Canadian Indoor Singles Championships was played last week in Vancouver, British Columbia at the Pacific Indoor Lawn Bowling Club. 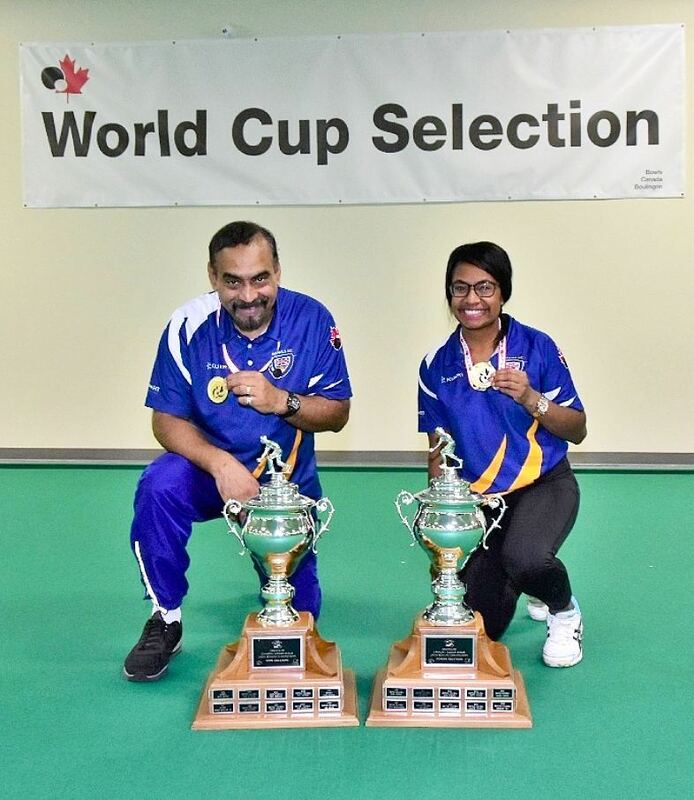 This is an annual tournament that has the winners heading to Warilla, Australia to represent Canada and play in the World Cup next March in Australia. This year’s Indoor Singles Championship saw the same result as last year as the Women’s Champion would remain the same for the third year in a row as Pricilla Westlake (BC) would take home the Gold Medal beating best friend Emma Boyd in the finals. This was a great run for Emma playing in here first Indoor Championship. As for Pricilla she will try and add another Medal to her trophy case as she won the Bronze Medal two years ago at the World Cup along with taking home the World U25 last year at the Broadbeach Bowls Club in Queensland. Claire Day (AB) would take home the Bronze Medal beating Rainbow Lung 8-5, 6-11, 5-4. On the Men’s side it was a repeat as Hirendra Bhartu (BC) would cement his way to another Championship and book his ticket back to Australia, beating John Bjornson in the Men’s Final 8-2, 8-9, 2-1. This adds to his total of Championships over the past 13 years: 6 BCB and 14 PBA Canada, = 20 Singles, 12 BCB (1 outdoor and 5 Indoor Singles, 5 mx Pairs, 1 Mens pairs). Also 1 PBA Canada Pairs. Grand Total 27 in 13 Years. In the Bronze Medal game it was an all BC match up as Richard Yau would be Ed Olsen 3-11, 9-3, 3-1. Congrats to the volunteers at the PIBC as this was the 13th consecutive year the tournament has been held at the world class facility. Also to George Cubiss and the Umpires who spent all week making sure all was taken care of on the rules side.